Surf Edge 501 is a homey beachfront condominium. This three-bedroom, two-bathroom condo has a furnished balcony overlooking the beautiful Atlantic Ocean. This unit is the perfect place for you and your family to call home for a few days! 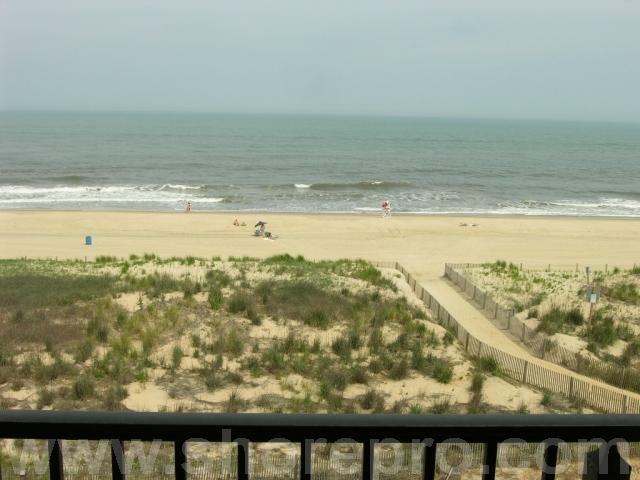 Surf Edge 501 is one of Ocean City's finest vacation rentals. The cozy, blue-and-tan living room is furnished with a comfy couch, a matching arm chair, a lounge arm chair, and a television. The sliding balcony doors allow plenty of natural light to brighten the space. Right off the living room is a small dining area, perfect for cozy meals with the family. Next to the dining area is the fully-stocked kitchen with a wide, granite counter top, just right for grabbing a quick bite. The master bedroom has a king-size bed, a personal television, and a private bathroom. The second bedroom has two double beds and a personal television. The third bedroom has a queen-size bed and a personal television. The second bathroom is located in the hallway. This property comfortably sleeps up to eight people, so bring the whole family! Unit 501 has the following amenities: central air conditioning, two parking spaces, an elevator, four TVs, two DVD players, free WiFi, cable TV, fireplace, full-size washer and dryer, refrigerator, microwave, coffee maker, toaster, stove, disposal, dishwasher, and an outdoor foot shower. This property is non-smoking and does not allow pets. No group rentals for guests under 25 permitted. Come stay at the Surf Edge and create wonderful memories to last you and your family a lifetime! SURF EDGE 501 comes with following features and amenities: central air conditioning, free wifi internet, full size washer & dryer, 2 bathrooms, fireplace, iron & board, cable TV, balcony facing east, balcony furniture, refrigerator, 1 stove, dishwasher, microwave, blender, coffee maker, toaster, disposal, 2 parking spaces, 4 TVs. Surf Edge building has following features and amenities: outside shower, 1 elevator, outside foot shower. I would like more information regarding this property at SURF EDGE 501.